All classes booked are non-refundable and non-transferrable. This applies to both 'block bookings' and single pay as you go classes. We understand that sometimes life throws curveballs that prevent you from coming to class but don't worry you can book a class right up until the start time. Please direct any queries about classes booked via 'Neon Soul Sisters' direct with the partner you work with. When you Arrive at class you will need to sign in and have time to warm up, therefore we ask that you do arrive at least five minutes early. We regret that we cannot accept late arrivals who have missed the safety talks. If you are late we cannot reimburse you for any session missed. If this is your first class you will need to arrive early to sign into your class and complete any forms needed. if you're late we won't wait! All equipment is checked prior to the class starting, if a fault develops we as that you alert your instructor as soon as possible. We ask the customers treat our equipment with respect and do not misuse. Our partners* reserves the right to seek compensation where equipment is damaged through neglect. Please do not book a class without consulting a doctor or medical professional first. If is the customers responsibility to inform the instructor of any medical condition that might prevent them from safely joining in a class. We may need to refer you to a medical professional for their opinion as to how suitable a class is for you. We would invite our customers to email your fitness partner* directly to make the instructor team aware of any reason why they can exercise safely prior to booking a class. If you book a class and we have to deny you a service due to undeclared health conditions we cannot offer any refunds or transfers . 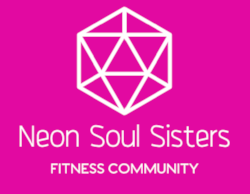 By booking a class via Neon Soul Sisters website or directly with our partners* you understand that there is a risk of injury and even death associated with an exercise class. *Your fitness partner is the company who provide you with the service their direct contact details can be found on the booking page.